Custom designed and hand crafted in the style of Greene & Greene, this sideboard has generous proportions and elegant detailing. 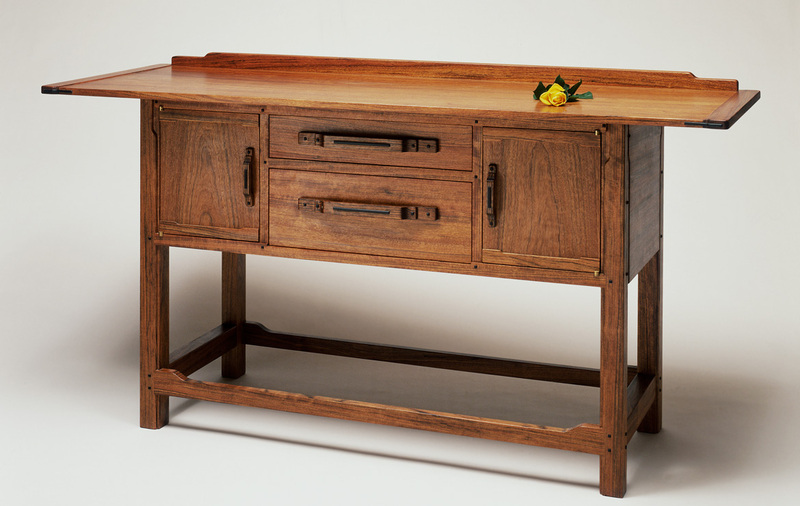 Constructed of solid wood, employing classical joinery techniques, and purposefully decorated with ebony pegs, this piece reflects the designer’s passionate respect for the Arts and Crafts, Bungalow style. A custom dining table and chairs and chandelier were part of this commission.